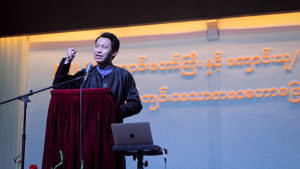 Author Lynn Thaik Nyunt, CEO and Founder of Myanmar’s Land Success and public speaker, inspired the MUAS community through a message entitled “personality development” during a special forum organized by MUAS alumni on August 15, 2018. Central to his dynamic speech is an encouragement to young people “to do what they love and faithful to what they do”. He asserted that every successful people have two things in common–faithfulness to their country and faithfulness to their professional work. Nyunt urged the MUAS community and attendees to work 8 times more than what we are doing now. He illustrated the point with the story that South Korea once was the poorest country in Asia but now they are among the Top five of Asia at the interest of their hard work. “Do not blame others for our country’s situation and work hard so that our children will not blame us”, He pleaded. Nyunt also stressed the role of individual’s personality in the overall development of Myanmar. As such, he spoke about the need to improve our individual personality to develop our country’s personality. In urge to develop individual personality, he provided three different kinds of personality domain: biological personality, social personality and idea personality. Among those three, idea personality is important and we can develop it. A high idea personality makes people to be good leaders. Good leaders manage and encourage ordinary people to perform and get extraordinary results. “We might be discouraged for not having biological and social personality but the good news is that you still can nurture yourself to have an idea personality” he commented. In his conclusion, he remarked that “everyone is unique. Do not copy others; make your success on your own ways”. MUAS is so blessed to have Author Lynn Thaik Nyunt from the Myanmar’s Land Success. Author Lynn Thaik Nyunt is CEO and Founder of Myanmar’s Land Success—motivation and management training school. He entered into literature world in the age of fourteen with the article entitled “the book I like most”, which served the catalyst of his success for today. Now, he has published six novels and twelve compound articles book. He writes articles and novels weekly and monthly for HR Journal, A Lin Thann Journal, Hello Journal, Knowledge Bridge Magazine, Teen Magazine and Eternal Light Magazine. 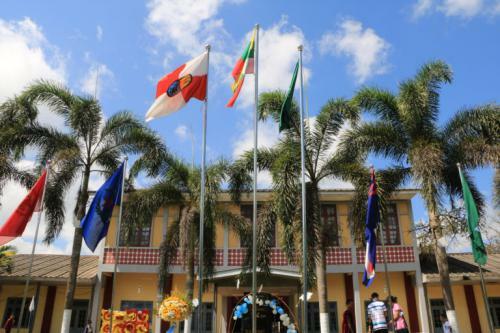 Now, he is regularly beaming special talk for literal programs and successful life at SkyNet, MRTV-4, MRTV, MITV, MWD, Readers Channel, Channel 7, Shwe FM, Mandalay FM, and City FM. He has conducted about more than 500 Educational talks, Seminar and Workshop as of today.